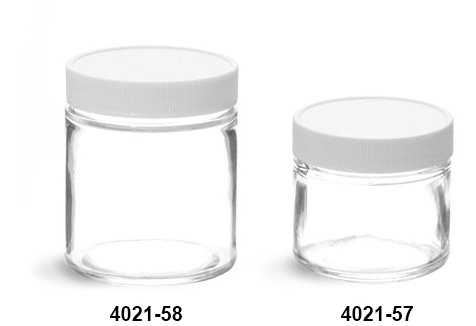 These clear straight-sided glass jars include white ribbed plastic caps with Teflon®(PTFE) faced liners on silicone backing. 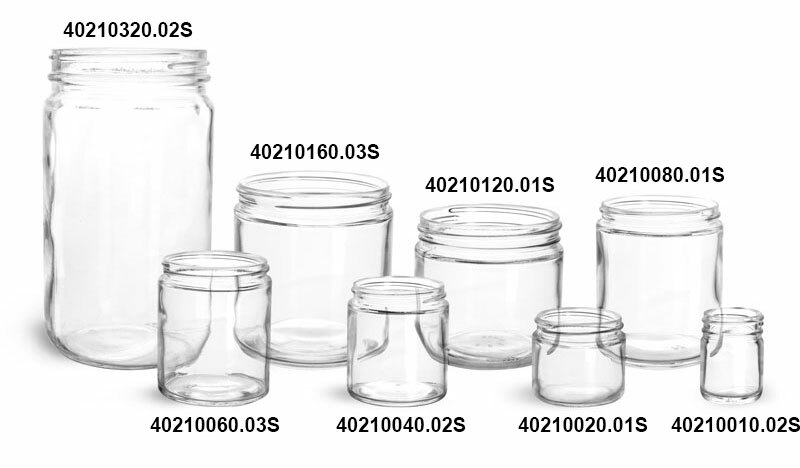 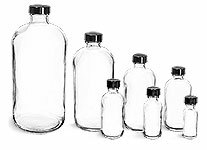 Choose these clear glass jars for a variety of applications from laboratory liquids and pharmaceuticals to soil and water samples. 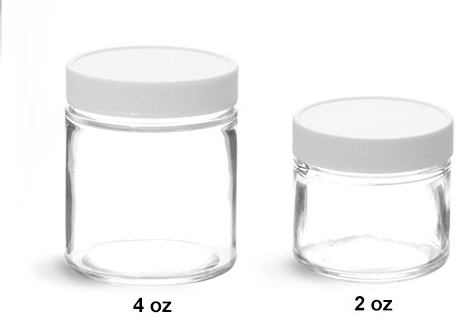 The liner's Teflon® facing provides high chemical and thermal resistance as well as a tight seal to protect the jars' contents.